This is more of a site maintenance thing than a real update, but I'm making a post about it because it was a tedious amount of copy-paste hyperlinking. 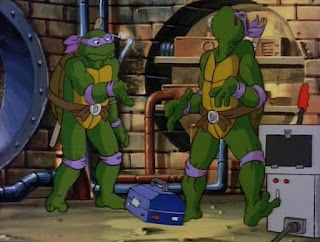 I've updated the 1987 TMNT cartoon viewing order to include links to each of my episode reviews. Like what I've been doing on the comic book reading order articles. Don't know why I didn't do it the first time around; would've saved my fingers the ache today. As for the IDW comics I haven't reviewed yet, I'm gettin' to em! Now let's hope AiPT never undergoes a webserver change that breaks all their old hyperlinks!